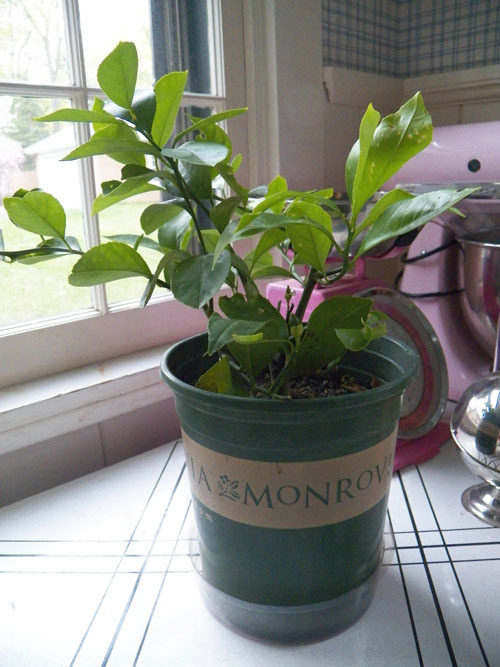 For an Easter surprise I got my mom and my grandma a mini Meyer Lemon Tree. 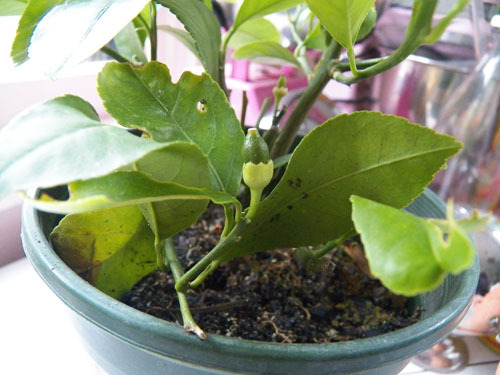 It was somewhat self serving cause I had trying and maybe growing Meyer Lemons on my 2011 To Do list. So yeah - I got one for me too. Is that a teeny weeny lemon?! You will love it, for a small tree you get lots of lemons. I gave my parents one for Christmas last year and they got 20 lemons off of it. The only time I tried a Martha recipe was to do Lemon sorbet in carved out lemons (with my friend Karen, who had dinner with us). We couldn't get Meyer lemons. We did it with regular lemons. It was so sour. We had one bite. That was it.